Can Debt Collectors Garnish Social Security Benefits? Debt collectors can be a bad lot to deal with. They will threaten you and harass you, and it can cost you time, money and your sanity. If you are involved in a personal injury case, however, the rules change a little bit. If you receive a judgement and it is made public, or is somehow discovered by a debt collection agency, it could be attached when attempting to collect your debt. If you make a verbal agreement to pay someone else’s debt, can you be held legally responsible? 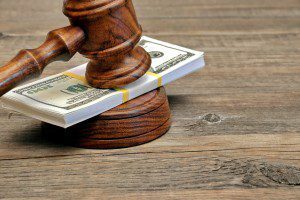 In most states, a verbal agreement to pay the debt of another person would not be enforceable in court. If this happens to you, and it ends up affecting your credit report, you should dispute this, and you may do so online. Checking your credit history is free one time a year. As a consumer, you have rights, and debt collectors are not allowed, by law, to harass you or a family member or anyone where you work. If you have questions, please consult our Online Legal Directory to find an attorney in your area.